Received both my Glam Bag and my Birchbox on the same day! What a pleasant surprise! 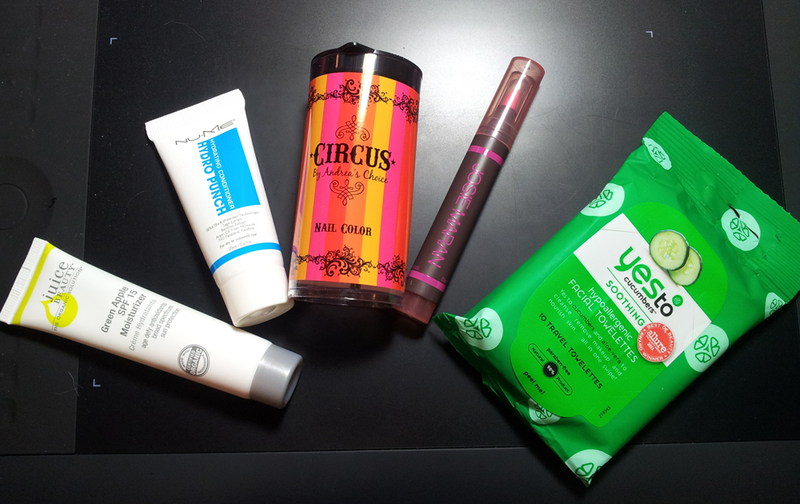 I opened my Birchbox first, felt indifferent about it, but the Glam Bag put a smile on my face. 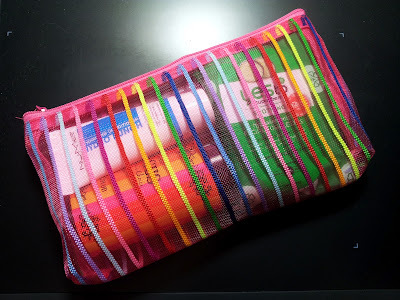 Inside this month's bag are the Juice Beauty Green Apple SPF 15 Moisturizer (0.5 fl. oz. ), a Nu-Me HydroPunch Hydrating Conditioner (0.67 fl. oz. 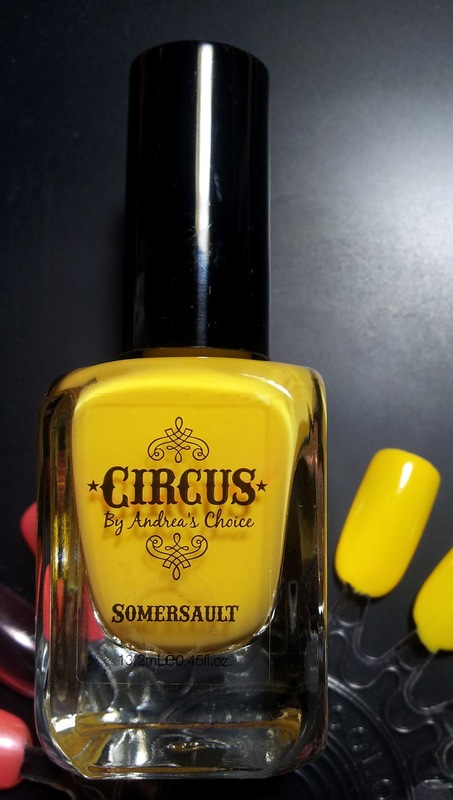 ), a Josie Maran Magic Marker Lip and Cheek Stain in jitterbug, a yes to cucumbers On-The-Go Facial Towelettes (10 count), and a full-sized Circus nail polish in Somersault! 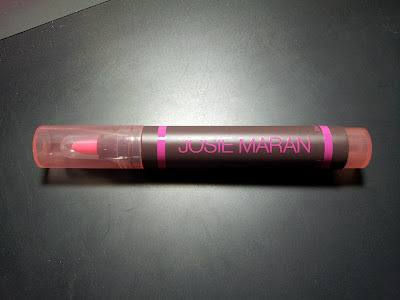 The Josie Maran magic marker looks neon pink in the tube... almost like a highlighter pen. I was afraid to put it on, but I tried it anyway, and I think I may be able to pull it off. 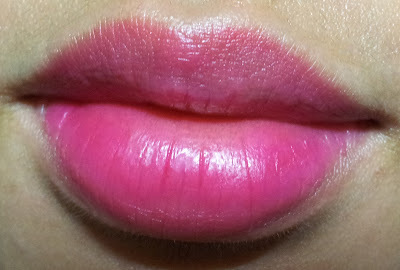 Definitely not for everyday use, but for a night out, it might be a fun color to wear. I didn't try it on my cheeks... I don't like the idea of having highlighter color on my cheeks. Next up, Circus Somersault. 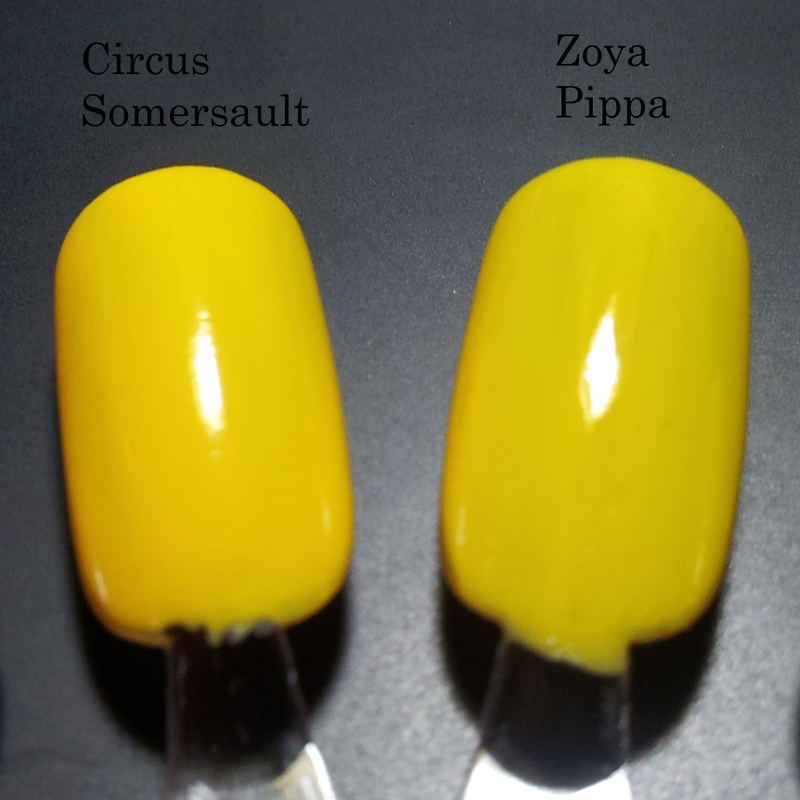 It is a very cheerful summer yellow that immediately reminded me of Zoya Pippa. I swatched it next to Pippa and although they are very similar, I wouldn't call them exact dupes. Pippa has just a hint of green to it. If you own one you don't need to own the other, though. 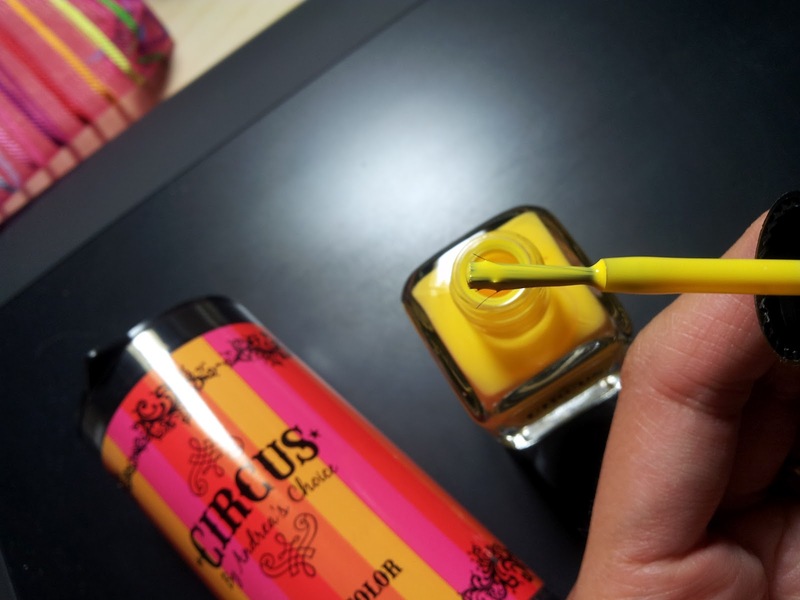 The brush of the Circus polish is a bit wonky and the formula is ever-so-slightly thick, but it's opaque in two coats. Overall quite happy with this bag. And that's it for this month. Stay tuned for August's!